The rich espresso finish and alluring curves of this bedroom collection will add elegance and sophistication to your bedroom. 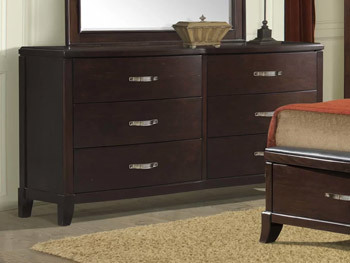 This chest offers 6 spacious drawers for all your storage needs. 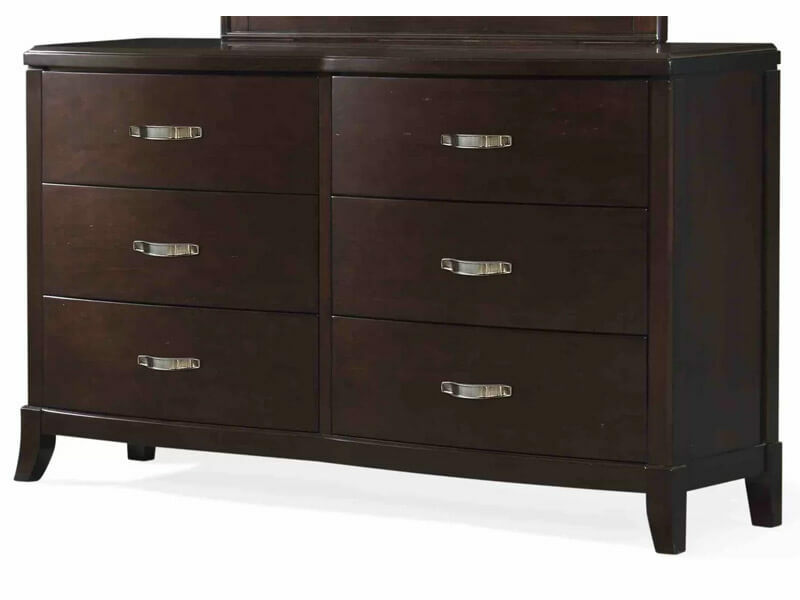 French and English drawer construction ensure maximum drawer space, while the center guided metal drawer glides ensure smooth open and closing. 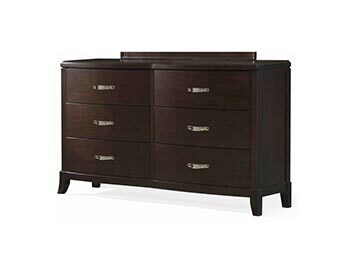 Felt lining in the top drawer and dustproofing under the bottom drawer keep your garments protected.